"There was a lot of 'I don't know' until I did know." Saint Mary’s College has a 175-year history of empowering students to excel and lead in their chosen fields. Our graduates develop the skills, knowledge, empathy, and vision to guide their corner of the world forward, whether directing a global organization, serving the needs of humanity, or exploring areas of scientific discovery. We're proud of these women and celebrate their results. And we tell their stories because we know it's our story. A story of academic excellence and value. 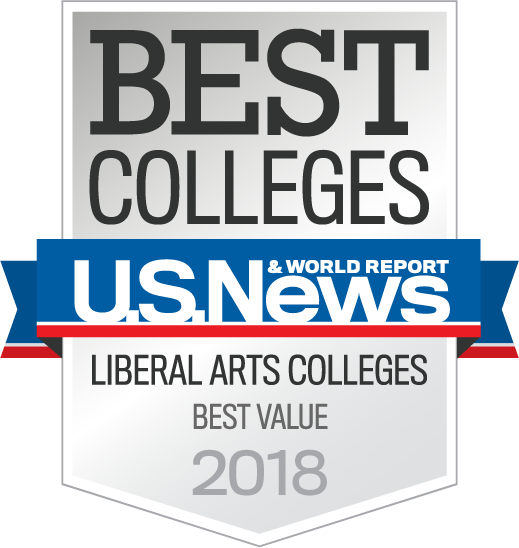 In fact, U.S. News & World Report recently named us #49 in Best Value Schools for National Liberal Arts Colleges. Any student can appreciate the approach of a Catholic education. Focused on promoting independent thinking, creativity, and acceptance, students are always encouraged to discuss and discern relevant problems facing the world today with intelligence. Whether you are Catholic or have no affiliation with the tradition, you will find the education at Saint Mary's to be a unique path that delivers academic excellence, prepares women leaders, and integrates today’s professional expectations while emphasizing personal responsibility for social justice. If you want to measure the value of an education, there is no better place to start than employment results. 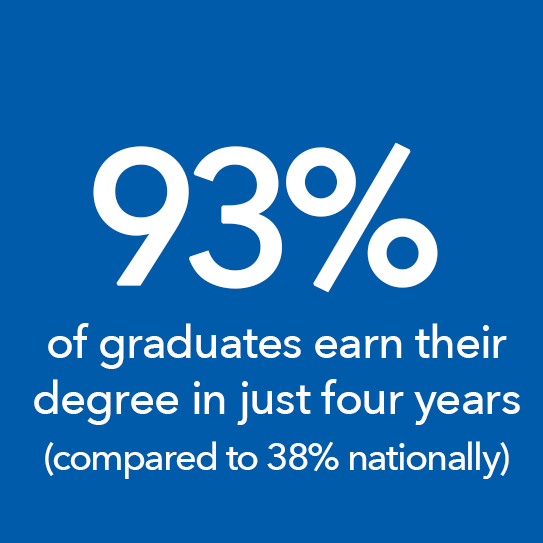 Graduates of Saint Mary's are quickly employed, make significantly more money than both male and female graduates nationally, and feel well prepared for their careers. We place a high level of attention in helping our students stay on track with their coursework. Where other students are taking on average over 5 years to graduate at public colleges and universities, Saint Mary's women are well in to their careers by then. That translates into $54,000 when you consider lost income and additional tuition. Our emphasis on research teaches students to analyze situations and think critically, gaining the skills and capabilities to complete a culminating experience, such as a capstone course, thesis, presentation, or portfolio. And more than 80 percent of our seniors participate in an internship, co-op, field experience, student teaching, or clinical placement, compared to only 50 percent nationally. In a time when many schools are increasingly allowing students to focus only on courses in their major, we continue to put an emphasis on providing a well-rounded, liberal arts education. Saint Mary's students gain a broad understanding of our world, make connections between historical events and societal policies, and appreciate the arts and the sciences. We make sure our graduates can develop thoughts, strategically think, present findings, and write clearly. It's something employers appreciate from the moment they meet a Saint Mary's graduate and often helps them stand out in a pool of applicants. At Saint Mary's, we believe in collaboration. 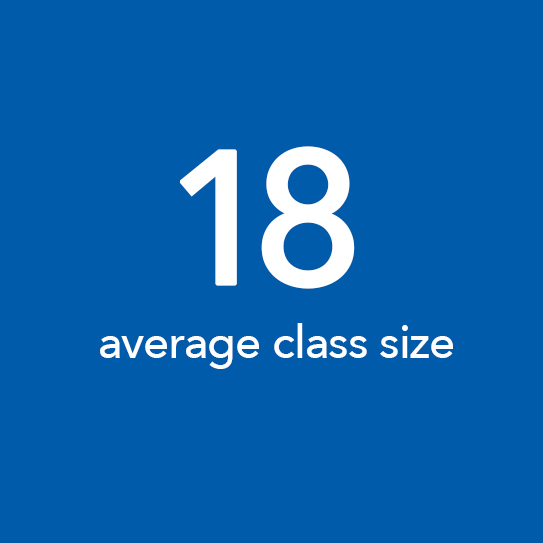 Our small class sizes allow students to personally connect with peers and professors. Encouraged to ask questions, work together, and get involved in various projects, our faculty typically knows each student by name so there is no getting lost in the shuffle. Most importantly, they become mentors and advisors, leading our students towards academic and professional success. Compared to fourth-year students nationwide, Saint Mary’s seniors are much more likely to have held leadership roles, participated in student government, led groups to a common purpose, and explored careers and professions not traditionally chosen by women. In fact, nine out of 10 recent graduates say their Saint Mary’s education has enabled them to make a difference in the world. Our students also understand the need for a global mindset in today’s world. They step outside their comfort zones, dare to feel the concerns of others, and gain the experience and capabilities necessary to work in a world-wide economy. 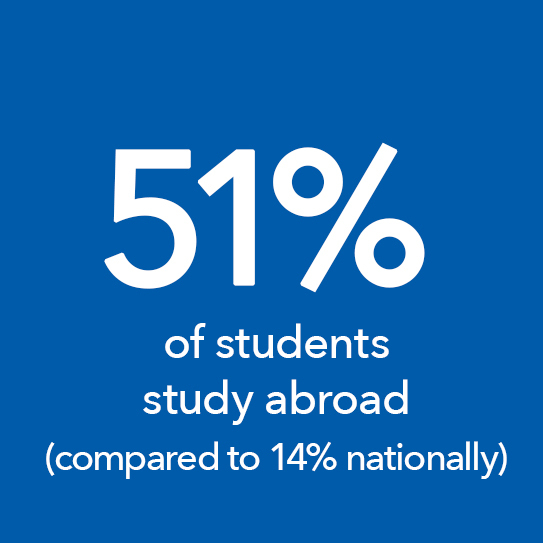 Our study abroad programs, experienced by more than half our students, are significant in expanding one’s world view and often give our graduates a competitive edge when applying for jobs.